At last I got rid of errors from this map, and compiled it :). It's already on repo, so just update your games to get it. 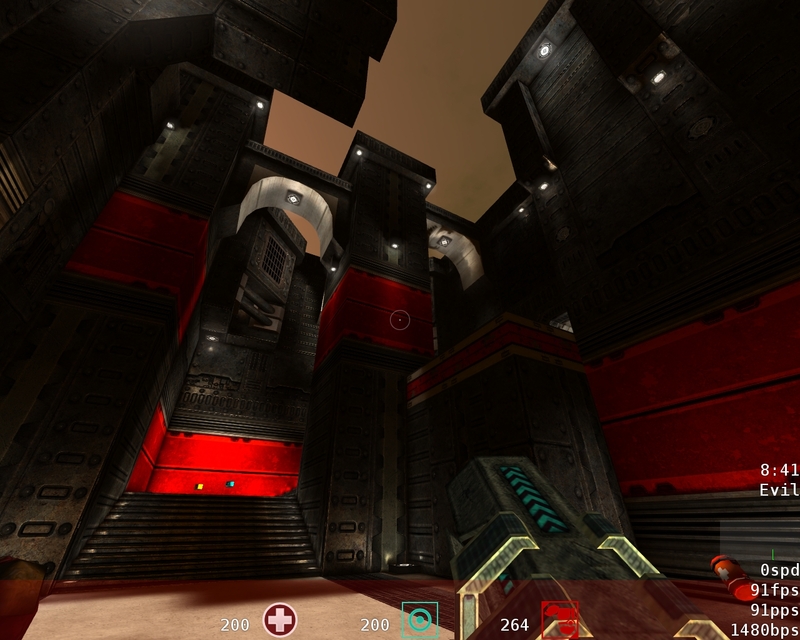 It's called Double impact (dimpact.bsp), and it's middle size ctf map (btw, I think the game still needs at least 2 other ctf maps). All the time (while testing and still changing some things) I did only single bsp stage compile, and then get those errors (I didn't want to waste time for full compile every time I change sth). After full, final run, everything works just fine :). I updated the airrocket.net q2w server and the map is on there now. I gave it a try and noticed some minor things. A few lighting issues (buggy shadows on the ground), some very bright textures on the arches. A red light that looks very pale on the ground above the ADREN spot. We should maybe just run around the map on the server together and I'll show you the exact spots and see whether I can find more stuff. Also noticed that there's no flag yet and I'm not 100% sure where the map would be mirrored/rotated, but I guess at ADREN. Flag would be at the RL near MH, the spot where the launchpad takes you I guess? 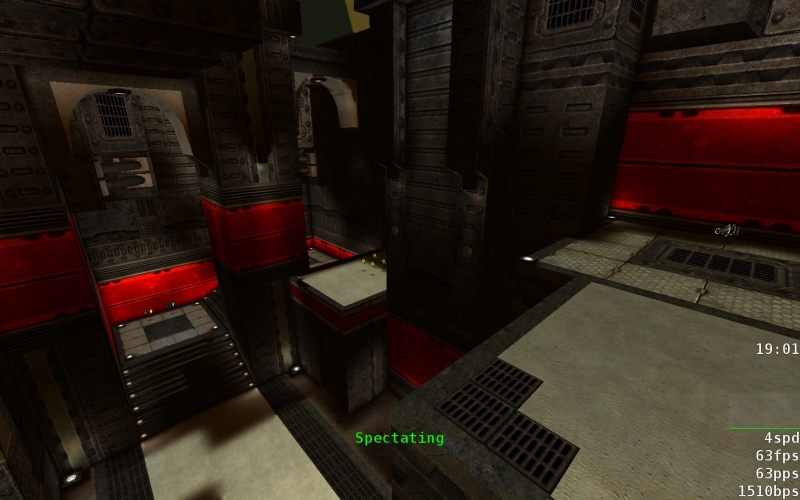 eh, Don't mistake Impact map which I've just released, with Double Impact - ctf version map :). That's why there is no flag on Impact. I'll release DImpact as soon as I'll fix errors I'm getting. Any ideas what can I do with it? See if that helps. And btw, this map looks fantastic -- quality stuff! Lol, that explains a few things. ;) I wondered whether you had changed the name when I just saw 'Impact' on the loading screen instead of 'Double Impact'. I'll also have to check out Double Impact asap then. Unfortunately I have no idea what to do about that error message. Jdolan should know something though. OK, I gave Dimpact a try. Both the flag and the connections to the other base are where I expected them. The flag area looks fun, I love that launchpad that takes you to the flag. Jumppads near the flag are always fun. There's many ways into the base, it may be a bit hard to defend but I'm not sure. The lower way to the flag is quite a bit shorter than the upper ones, especially the ones on the sides. This is justified because you get YA or RA on the longer ones, but the difference may be a bit too huge. The YA way looks most dangerous for the FC to me, you're an easy target there cause there's almost no cover/corners. I still like it cause you can gain insane speed there and it seems like a good way to get into the enemy base - definitely not to get out though. I'm not sure about the short upper passage (in the center, the one that ends above the launchpad) yet. I like the it as a oneway passage into the base (and the possibility to do that great RJ from the flag to use it as a way out). I think I don't like the connection to the RA area though. I noticed that you tried to weaken that passage by the small elevator you have to use when you're leaving the base but you can doublejump it too easy atm. The spot behind the huge JP at RA is weird. Did you do that intentionally to give the FC a place to hide? Not sure about that, I'd vote to remove it. From that version of the map (only one half done), it's hard to judge the central room. Will the map just be mirrored where the bright wall is or are you gonna add a central room there? Atm the center looks a bit small and boring, especially when you consider that this is one of the areas where most of the fighting takes place. The things that stood out the most to me were the diagonal-facing jump pads that boost you to the red flag; and also, the lovely texture theme used throughout the map. 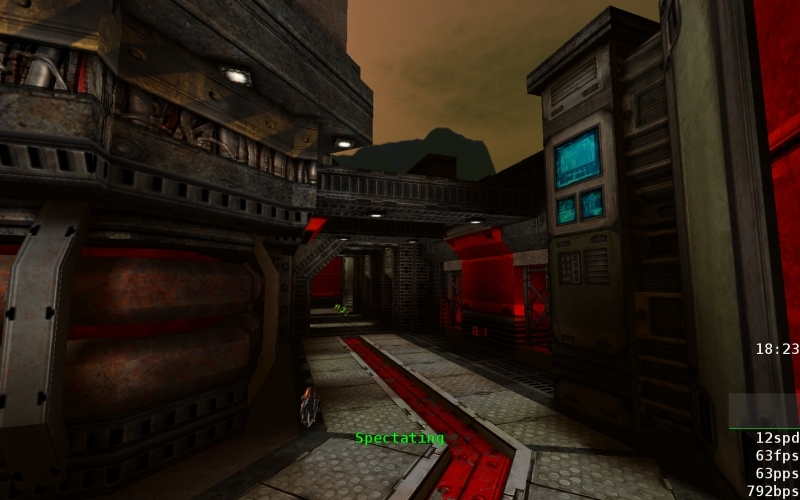 The other thing that stood out to me was the different proportion of areas in your map: You had some areas on the upper levels of this map that were much closer to the sky, and almost "miniature" looking - - - then you had large, wide open areas on the bottom levels. THE MOST IMPORTANT THING that I like on this map, is its map layout. Fantastic!!!! I truly, ***truly*** love maps that are designed in such a complex manner that, through One's first run around it, One(me!) cannot figure out His-or-Her way around the map without making a real attempt to learn the map. In some other maps, you gain the flow and layout of it within a few minutes(And I love these maps too^_^). I am guessing that your map's "complex" layout is also made so, by the almost omnipresent texture theme throughout (half of) the map. The way you had used the textures throughout the map, gives almost everywhere on it a certain "this spot looks just like THAT spot," even though quite clearly, every spot of only HALF of your new maps is quite distinct from the other. Oh, and I love the rocky cliffs that are present in your map also. But yesh, Thank You!!!!! Thank YOU!!!!!!!!!!!!!!!!!! Look at the arches, BEAUTIFUL!!!! Btw, do you know Mirix? 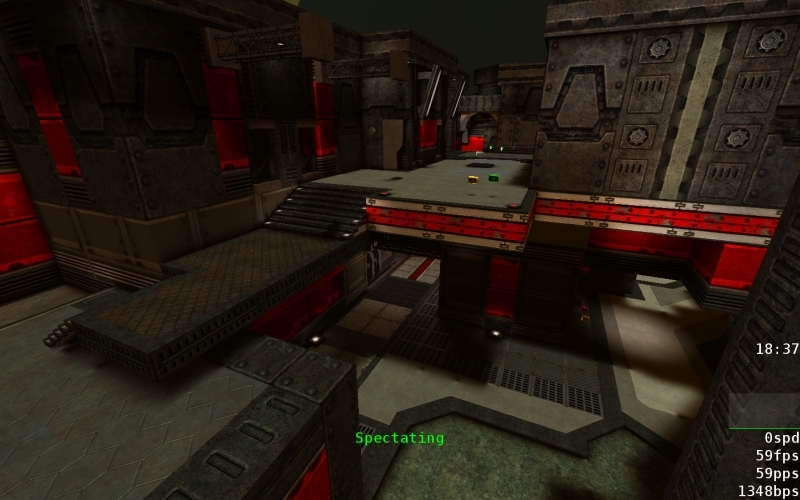 You can use it to create CTF maps very easily. Mirror, mirror and rotate, automatically replace team items etc. 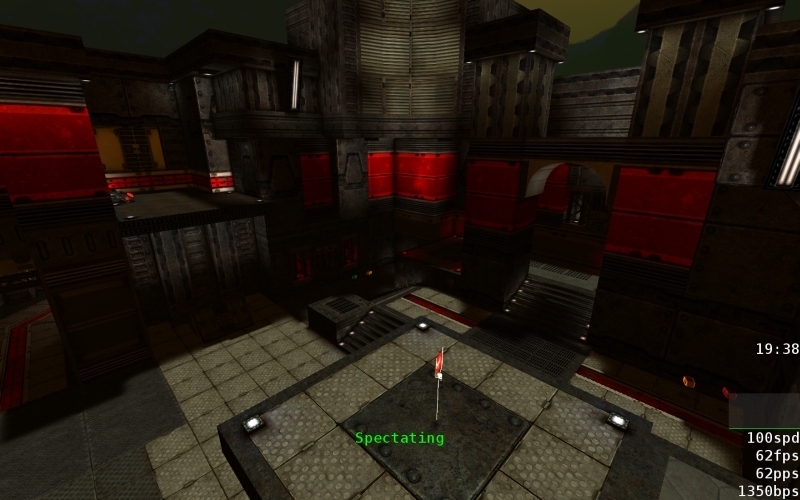 Works for q2w, I did that q3ctf1 remake with it.